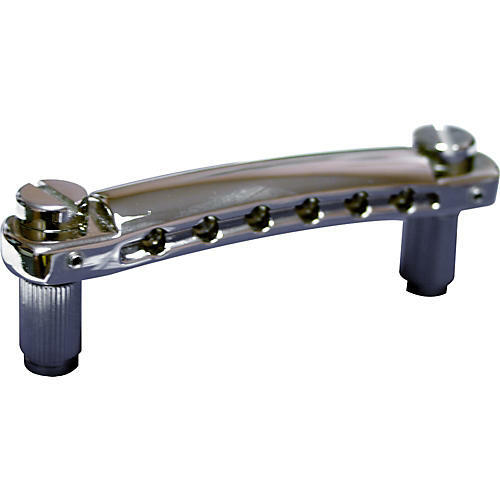 A true to '50s vintage-style lightweight wraparound guitar bridge set with the TonePros matching locking studs. The locking feature on the VTNA eliminates "bridge lean" for optimum performance, and the tail is engineered specially with "INVISI-Fulcrum," which allows strings to fulcrum on the bridge cleanly for exceptional intonation and increased harmonic overtones. Aluminum construction provides an extra resonant quality and the TonePros patented locking feature adds significantly improved sustain and tuning stability.